U2 Lyrics 1979 - 1997. Lyrics to nearly all songs U2 have written in the past 20 years (incl. 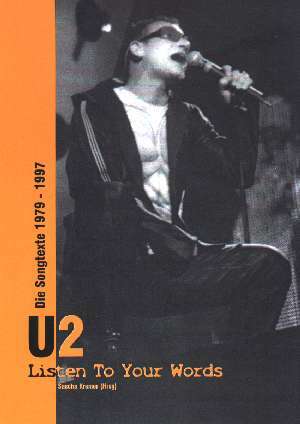 Achtung Baby Outtakes and other rare tracks) as well as the lyrics to most of their cover tunes played live and the solo sidesteps they made.